It wasn't too long ago that Bobbi Brown was touted as the neutrals queen. Heck, I even used to breeze by the counter without stopping because there was not enough "ooomph" to draw me in. But those times have changed - significantly. The collections and products she releases still have a great "neutral" quality to them, but the color ranges, formulations and innovations are holy grail worthy. And what impresses me even more is the fact that any and I mean A-N-Y skin tone can find a full look from Bobbi Brown - all the way from foundation and concealer to lipstick and blush. Many of my holy grail items (this finishing powder in Porcelain Pearl, this lip formula in Sunset Orange and this lip formula in Razzberry) come from BB and I'm sure the list will continue to grow with each new launch! Here's a look at her newest Hot Collection that certainly does not disappoint! 1. 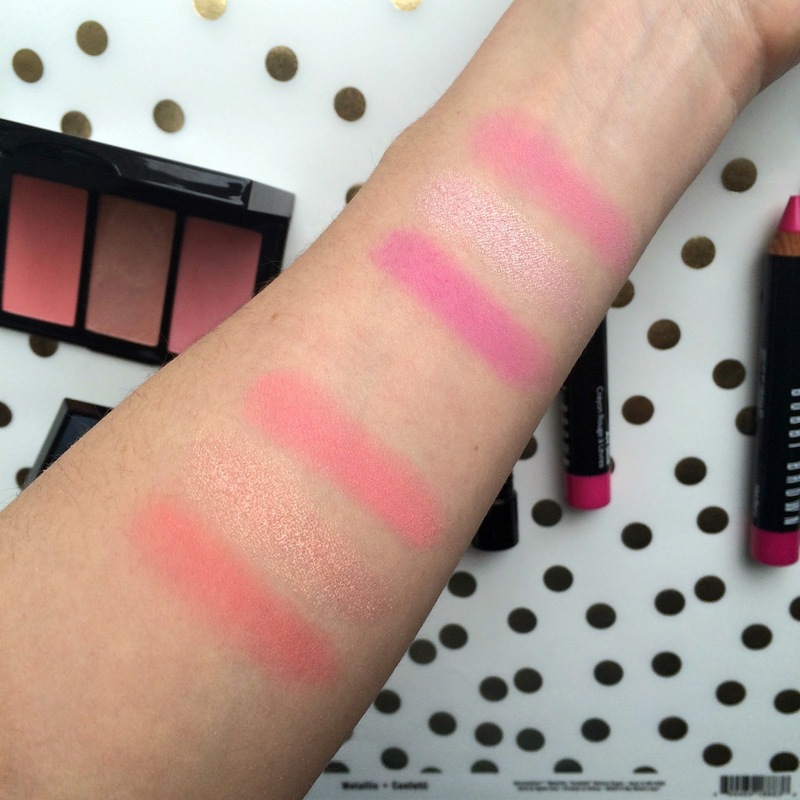 Cheek Palettes in Calypso and Pink - Remember how I was saying that any skin tone can wear Bobbi Brown? Well, these palettes are a perfect example of that. The pigmentation is rich, yet surprisingly easy to blend out to a more sheer application. The coral palette immediately elicited a gasp when I opened it. I mean - can you imagine a summer look without the complementary peachy flush on the cheeks? I guess you can, but who would want to? And while pink cheek colors are not entirely my bag, Bobbi managed to make these wearable for my pale skin by giving the effect of a rosy glow that looks great with the accompanying punchy pink lip colors in the collection. 3. 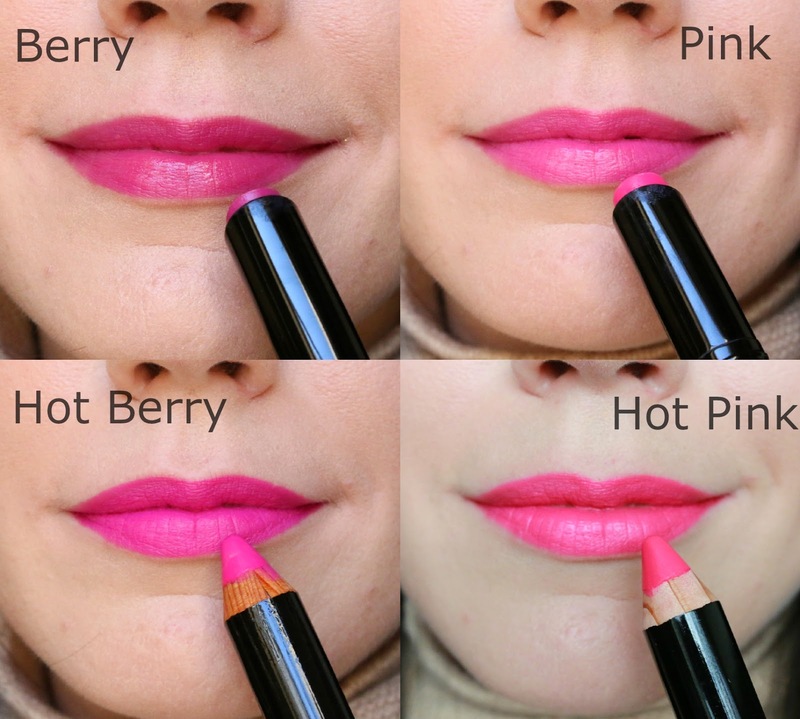 Art Sticks in Hot Berry and Hot Pink - HOLY GRAIL ALERT. I repeat, HOLY GRAIL FORMULA ALERT. As soon as these Art Sticks launched last year, I snagged one in Sunset Orange and after only using it one day, it became a holy grail. These Art Sticks are how every matte lip color should feel on the lips. Creamy, smooth, non-drying and velvety with incredible staying power - yet still emollient enough that it doesn't take 3 years and 15 bottles of cleansing oil to remove! (you know those kinds, right? Ugh.) And of course in keeping with the bold and bright "hot" theme, these colors are sass incorporated. They ARE the look. Fresh skin, mascara for days, a bronzy cheek and these lip colors make for the perfect easy summer look. Wow those lip colours are STUNNING! The formula of the Art sticks sound amazing as well. This collection just looks so damn amazing!